Below : The ship that started it all off in Europe. PS Comet, built in 1812, inagurated a service between Glasgow and Helensburgh promoted by Henry Bell to bring customers to his shoreside hotel. 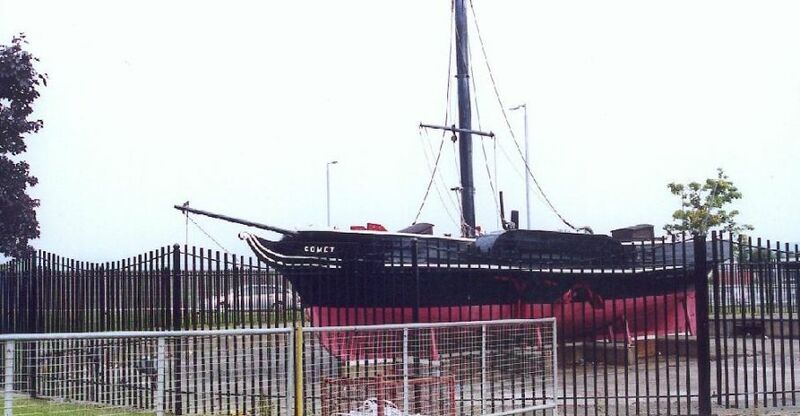 This replica replica, owned by the local authority (Inverclyde), is located alongside the main road past Port Glasgow on the Clyde estuary. Click below to see the history of operators and vessels in many of the major operating areas in Europe, with very limited coverage of other parts of the world. Links are provided to vessel profiles from the pages covering the paddle steamer operating companies in each geographical area. On short-sea connections paddle steamers quickly lost prominence to screw steamers and after the advent of turbine power at the beginning of the 20th century, turbines tended to dominate this market. As well as the Humber ferry service, which saw large paddle steamers continue in operation well into the 1970s, there were numerous paddle steamer services offering short crossings across rivers and estuaries. These included the well-known Mersey ferries, crossing between Liverpool and Birkenhead and other piers on the Wirral, where paddle steamers dominated until the beginning of the 20th century, after which all new-build was for screw-propelled ships. The Pembroke ferry in west Wales is remarkable to the extent that the UK's last paddle steamer was built to serve the short crossing of the Cleddau River to Neyland. 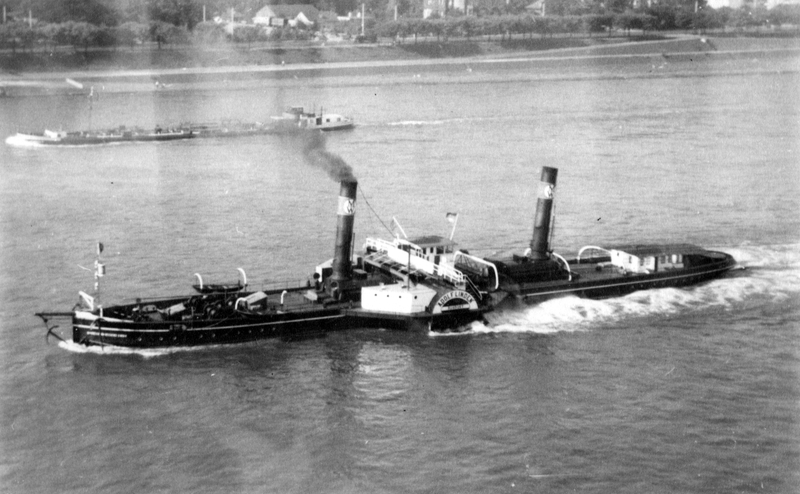 Paddle Steamer Cleddau Queen was introduced in 1956 and was a small primarily vehicular ferry and replaced the older passenger ferry PS Alumchine. She later sailed in association with the diesel ferry Cleddau King. The ferry service survived until 1975 and the opening of a bridge. Above: This is Adolf Linden IV, seen near Koln on the Rhein in 1958 in a photo kindly supplied by Alan Murray-Rust.